After reading this book, I was pulling up the book cover online and stumbled across some pictures from the photo shoot from the cover. 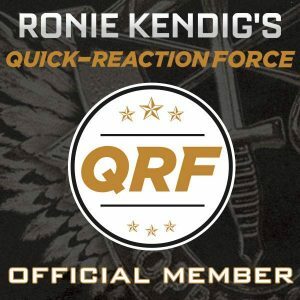 Those led me to the author’s website. Interestingly, she addressed something that I had thought about while reading this book Several times, I would flip to the cover and think “That’s not what I picture Charlotte looks like”. In fact, I believe I’m in the minority when it comes to people on book covers. I prefer to create my own image of what the characters look like. But, I’m off topic here, let’s talk about a really fun and entertaining book. Charlotte Atherton flees the school where she’s been teaching for the past three years under the cover of night. The school is closing, and Charlotte has promised to protect one of her students from her grandfather. 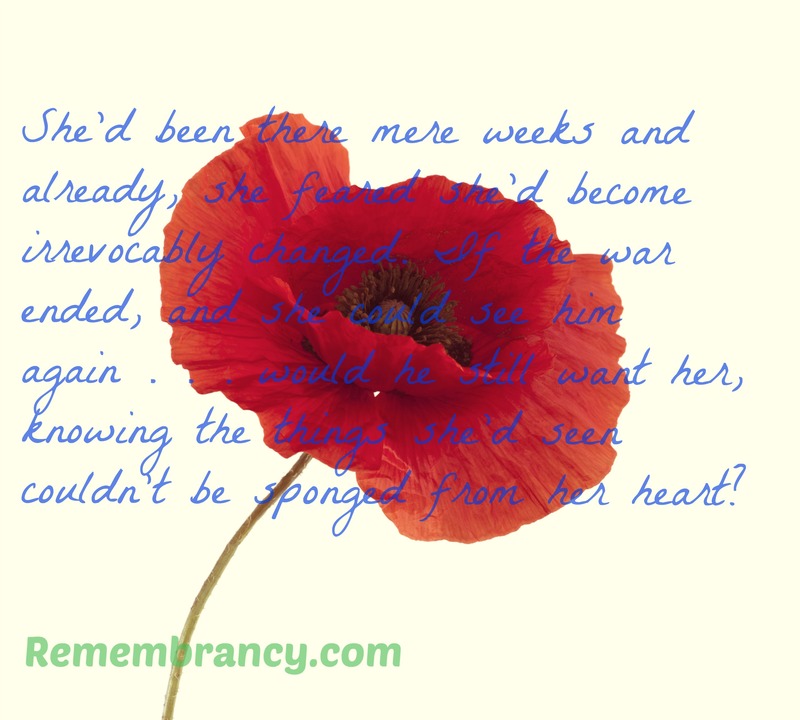 When someone comes looking for them a couple months later, Charlotte doesn’t know what to do. The stranger seems to believe her story and want to do the right thing, but again, she knows nothing about the man. Well, other than he appears to be a character right out of Lily’s dime store novels. Then Stone Hammond saves another child in Charlotte’s care and he opinion of him improves. Stone Hammond is the best retriever out there. What he goes after, he gets. So how were his instincts so wrong this time? He realizes Charlotte is telling the truth about being the rightful guardian of the girl he’d been sent to bring home. Now, the children as well as Charlotte are making their way into his heart. This book was hard to put down. I actually picked it up Friday night after a long work week and relax before bed. Yeah, the next thing I knew it was one in the morning and I was forcing myself to turn off the light and get some sleep with the promise of finishing it when I awoke. And finish it, I did. The attraction between Charlotte and Stone is almost instantaneous. Both feel the pull, both try to resist. In addition to his tough exterior and swift mind, Stone’s protectiveness of this little group he’s stumbled upon makes him more swoon worthy. Charlotte’s nurturing personality, her willingness to give up everything to help three children, and her own heartbreak make her someone you will cheer for. Now if only the two can overcome several obstacles (Charlotte’s past, Lily’s grandfather, a lack of trust), they can get on with their HEA. What I like about Witemeyer’s books is that while they are considered historical fiction because they are not set in the past, they are not bogged down with historical facts and figures. Her stories carry themselves. This one had the fun addition of the three children, each special in their own way. Lily’s love of dime store novels and her infatuation with One Eyed Dan (who I’m hoping gets the Witemeyer treatment) is contagious. John’s quiet and shy manner is sweet. Stephen’s big brother protectiveness of those around him is cute. There was one plot twist regarding Charlotte’s grumpy caretaker that I imagined happening that never came to fruition. But, I can pretend it did. ***Bethany House provided me with a complimentary copy of this book in exchange for an honest and fair review. All opinions expressed are my own. As hotel heiress Estella Everstone poses as a companion to an elderly widow after the death of her brother, Will, she struggles with her new position. When her employer announces they will be spending some time at Everston, one of her father’s hotels, Estella (living under the alias of Elle Stoneburner) is both excited and anxious. Excited because of all of her father’s hotels, this is the one she is most fond of, the one she longs to own someday. Anxious because she is Estella Everstone, visited the hotel when she was younger, and may be recognized. On the way to the hotel, Estella meets Dexter Blakeley, the manager of the hotel. His caring and kindness toward not only her but some other young ladies is both humbling and aggravating. But somehow Dexter is able to accomplish what no one else in Estella’s life has. He sees herself for who she truly is—not some society maiden, not the daughter of Bram Everstone, not the sister of Natalia, Nathan, Vance or, Will. And that is something she didn’t realize she’d wanted so desperately. But when the truth of who she comes out is revealed, will Dexter still look at her with affection or will the attachment and mutual respect that has grown between them be irreparably severed? Book three of The Everstone Chronicles offers much desired insight into the elusive Estella Everstone. In the first two books, I could never decide if she was just so painfully shy she kept to herself or such a snob she didn’t believe others were worth her time (it’s neither of these things in case you’re wondering). 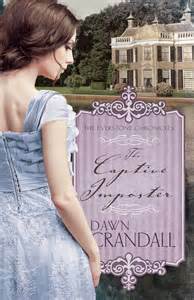 Dawn Crandall’s characters are well-developed and the more I read of her, the more I want to read. Fingers crossed this isn’t the final book in the series. Estella’s struggle with how others see her and how she longs to be seen is heartfelt and genuine, her friendship with Dexter’s sister is sweet, and the chemistry between her and Dexter is undeniable. The Captive Imposter is a must read for fans of historical fiction, romance, or a good, engaging read (you’ll have a hard time putting it down). 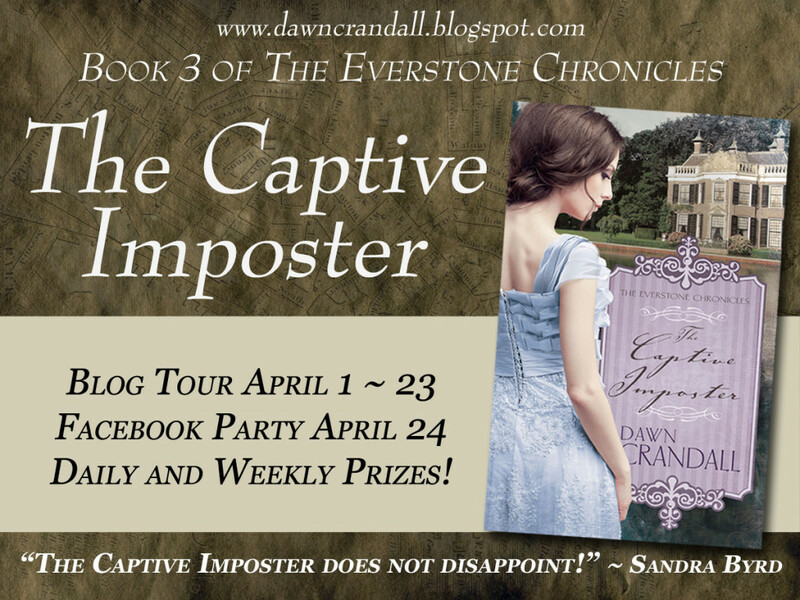 Visit Dawn Crandall’s blog during release month (through April 23) and enter to win a copy of The Captive Imposter and other great reads! ***The author provided me with a copy of this book in exchange for an honest and fair review. All opinions expressed are my own. While Fort William Henry has surrendered, Major Reginald Aubrey makes a decision that will haunt him the rest of his life. When he comes across a sleeping woman with two babies beside her—one white and one brown—grief and sorrow over the loss of his newborn son and love and worry for his wife’s mind and health push him to lay his day son in the place of the white child. As they escape from the siege of the fort, the Aubreys come upon another child, a girl whose parents have been murdered by Indiana. That one decision weaves together hurts, heartaches, and guilt in many lives. Years later, it is Anna, the girl Reginald considers the one pure thing in his life, who loves them all—the brother she’s grown up with, the papa who saved her life and still bears the scar from it, and the Indian boy who she initially mistakes for William who becomes her friend. When the truth comes to light, can two families survive a lifetime of guilt, longing, and the desire for revenge? This is a story of two men, two fathers. One is consumed by guilt and shame for the fateful decision he made. The other is consumed with the desire for revenge against the man who stole his son. Both men have one thing in common. Their families suffer because of their actions and inner turmoil. The Path Finders is an appropriate name for this series (yes, it’s a series and you will be glad of that when the book ends with a few loose ends). As these men, and others, find their path to each other, to a son and brother who has been absent since birth, and to a God who is forgiving and life-changing. 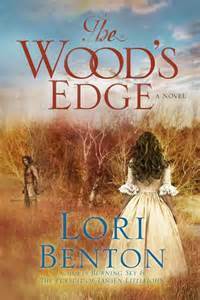 I am always pleasantly surprised by how much I enjoy Lori Benton’s books. You see, I’m not one of those people who loves history. But, I do enjoy historical fiction now and then. Some of these books can be mired down with too many dates, names and events. Benton manages the balance between history and fiction well, detailing the lives of the Oneida people and even the months leading up to the Revolutionary War while keeping the reader engaged with the day-to-day lives of her characters. You will not regret this read. ****Blogging for Books provided me with an advanced copy of this book in exchange for a fair and honest review. All opinions expressed are my own. Sera James looks forward to marrying William Hanover, but when they are immersed in a legal battle immediately after their wedding, the life she’s dreamed of now becomes a nightmare she never anticipated. As she and William fight to clear his name, William’s refusal to open up to her about his past causes Sera even more concert. When she’s given some more life changing news, she’s determined to solve the mystery. In 1939, Kàja Mokovsky flees Nazi-occupied Prague at her parents’ request with a promise in her heart that she will return to her beloved city some day. Working in London as a secretary at the Daily Telegraph, Kàja is thrown into the war during the London Blitz. When a report comes across her desk stating Jews are being killed by the thousands, she knows she must return to Prague to find her half-Jewish family. 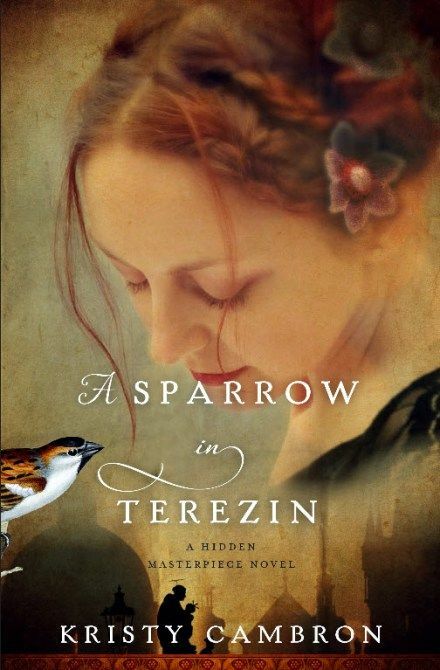 Kristy Cambron once again seamlessly combines the two stories throughout A Sparrow in Terezin. I enjoyed spending time with William, Sera, Penny, and Sophia again (from The Butterfly and the Violin) and the struggle between Sera and William is true-to-life (marriage still takes work after you say, “I do.”). While it took a little longer for the connection between the two stories to come together, once they did, there were two mysteries that held my interest through the end of the book. Cambron’s insight into the children in the concentration camps and ghettos is original and tugs on the heartstrings. While her stories are fiction, they are steeped in the real horrors and atrocities of the Nazi regime. Meredyth Summercourt has known for six years what her future holds—marriage to Vance Everstone. Despite the fact that Vance has been out of the country for two years with no plans of returning, Meredyth is determined to make things right. And then Lawry Hampton, her best friend since childhood, kisses her, Meredyth’s future doesn’t feel so certain. With Lawry at her side, challenging her, comforting her, and listening to her, Meredyth realizes that she is in love with him, that she’s tired of pretending. But she doesn’t deserve him and she fights her attraction. 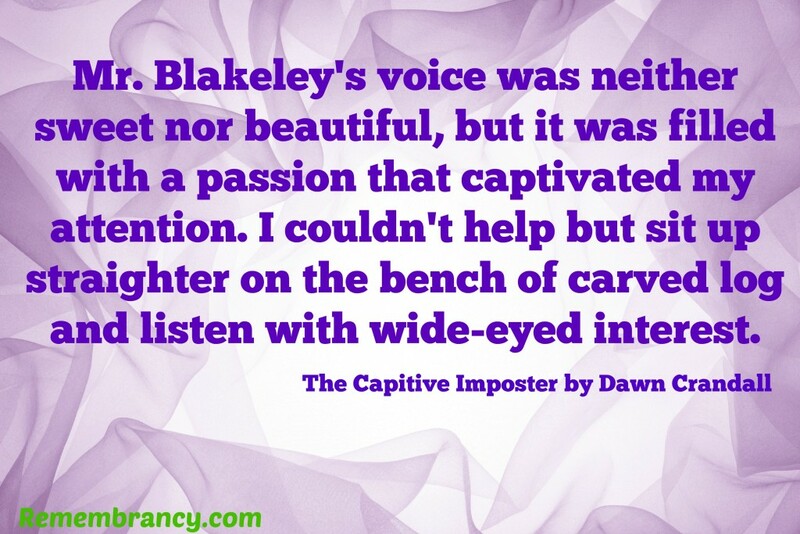 Can Lawry’s love release her from her shame and guilt? After reading The Hesitant Heiress, I felt like Meredyth and Lawry are already old friends of mine. It’s fun reading series because we get more depth into each character as they become the focus of a book. Meredyth wants to be noble and good but never believes she can achieve that so instead she sets her sights on atoning for her past. The additions of little orphan Wynn pulled on my heartstrings on more than one occasion (especially right before the wedding at the end). And Lawry’s persistence and consistency is sigh-worthy. I think most people can relate to making a bad decision and living with the regret of that decision. Yes, some are more damaging than others but no one is perfect. Dawn Crandall excellently handles the topic of living with the regret and shame of a bad decision in The Bound Heart. 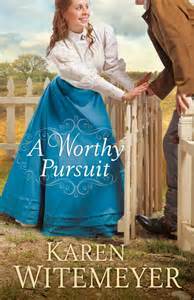 Meredyth struggles with being worthy of the life she is living in the moment, being loved by Lawry Hampton. In the end, there is only one person who can release us from our past mistakes, and He is more than a man. 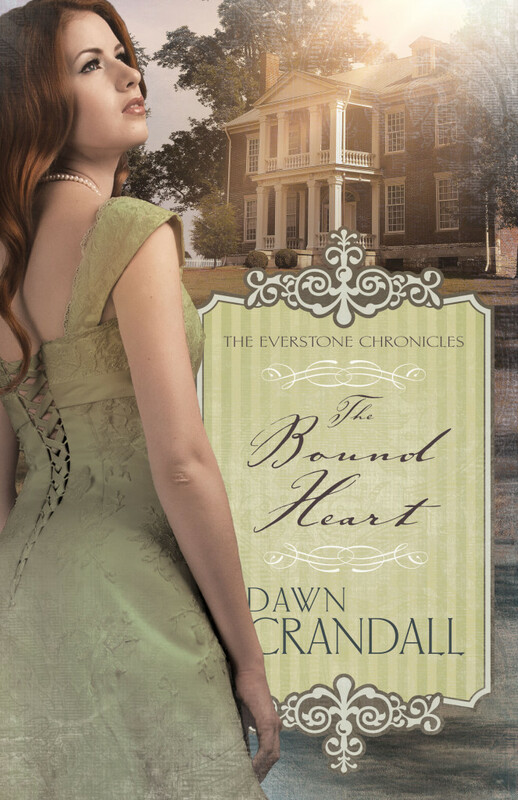 The Bound Heart (as well as the first book in the Everstone Chronicles) is available now. Book three is due out in April and you will definitely want to read these first.